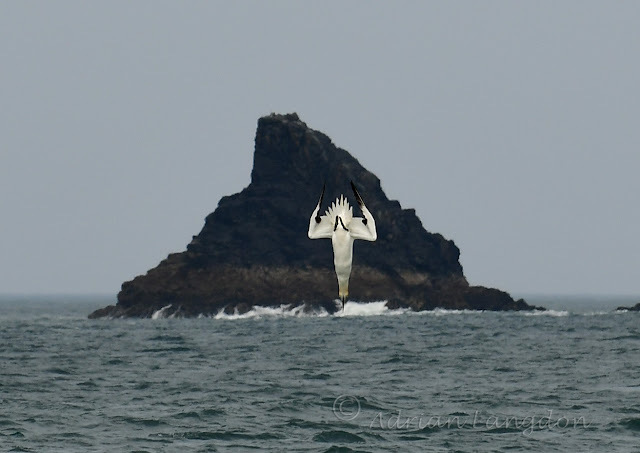 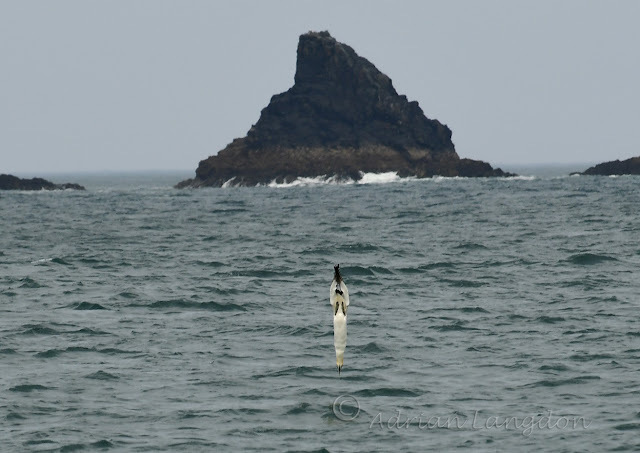 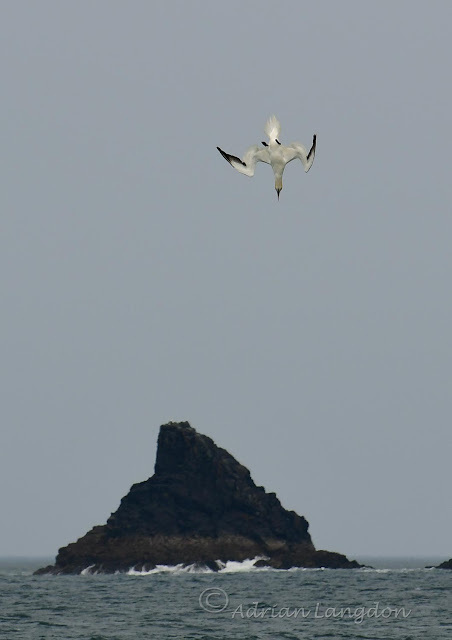 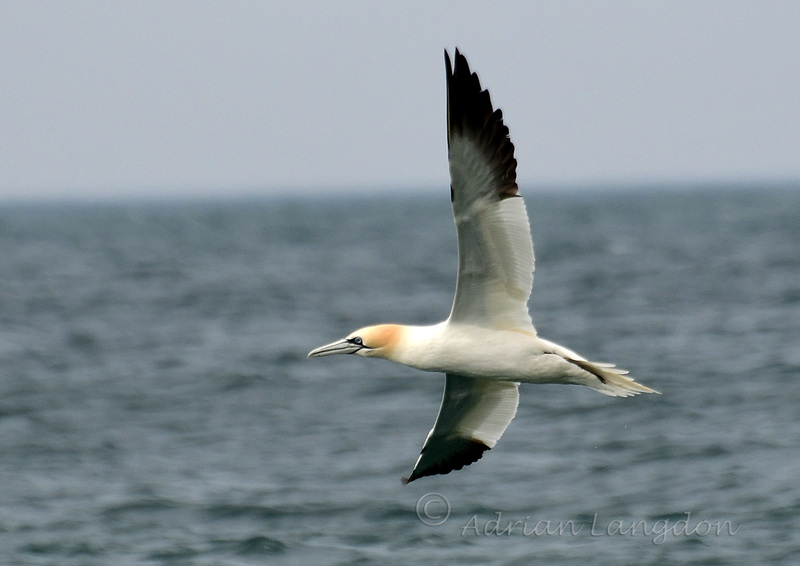 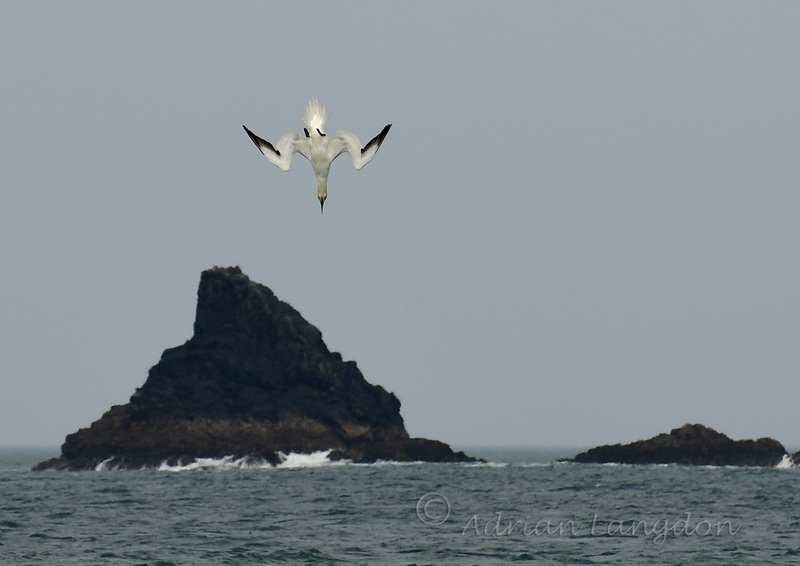 Gannets were diving in the bay between Costantine beach and the Quies yesterday as we came up the coast on our Cornwall Seal Group & Research Trust STAPIP survey of marine life and human activity. 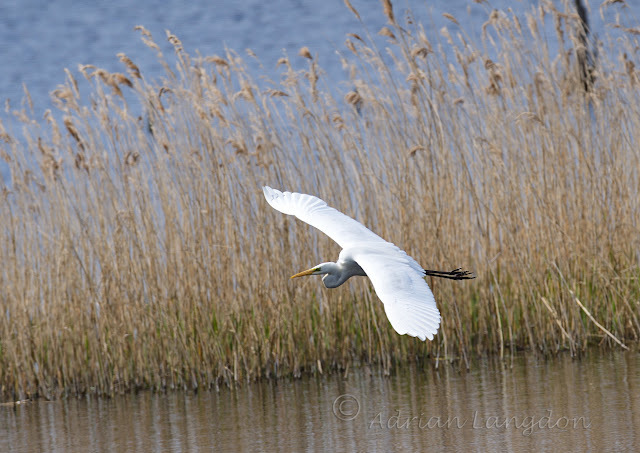 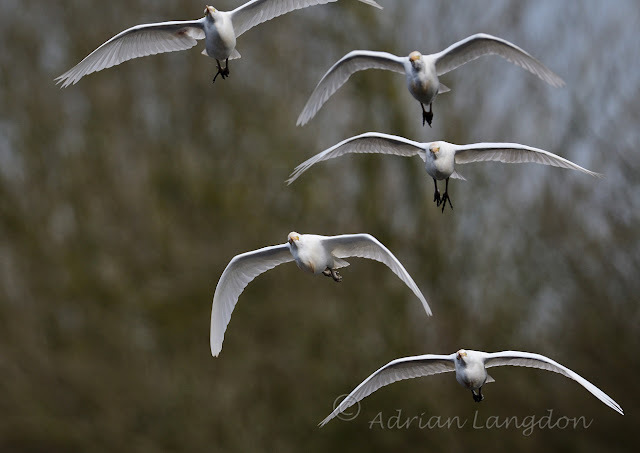 The photo above is a composite of 5 images as the bird dived into the water, the last image being the single splash! 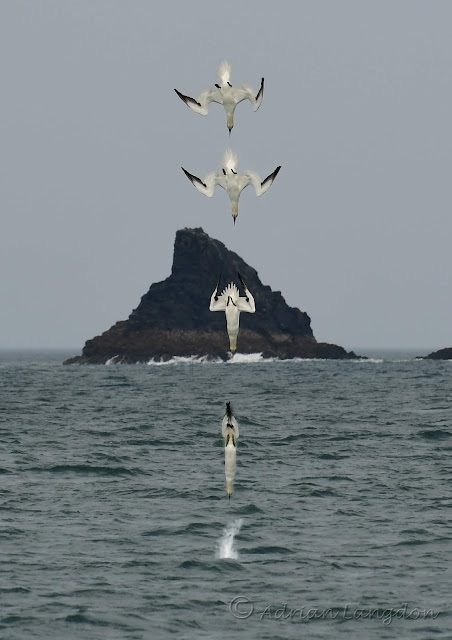 Below are 4 of the images that went together to make the top photo. We had a good day in fabulous sunshine on the Levels at Ham Wall and Shapwick Heath reserves on Friday. It was cold but a little warmth coming from the bright sun kept us going all day. 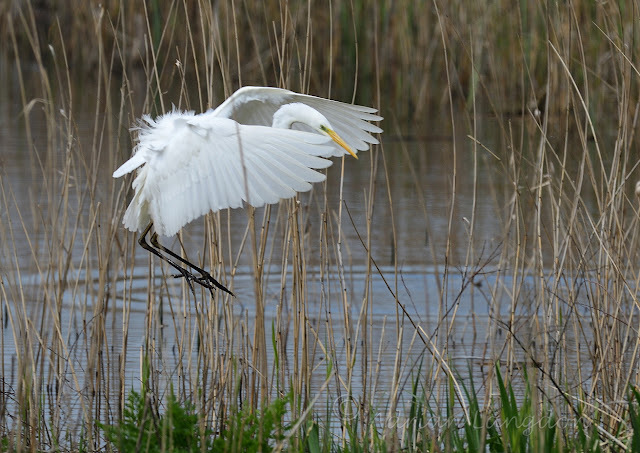 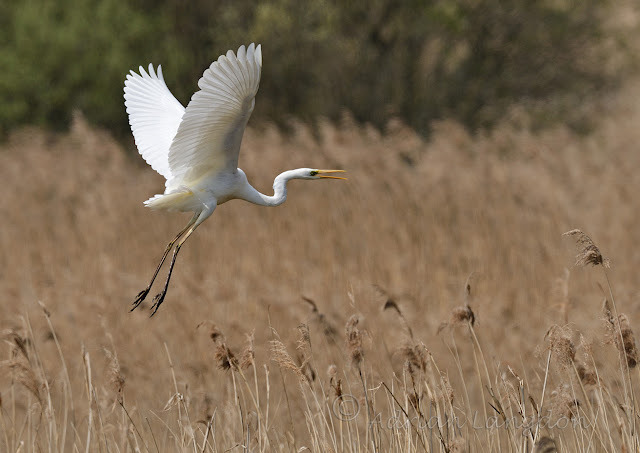 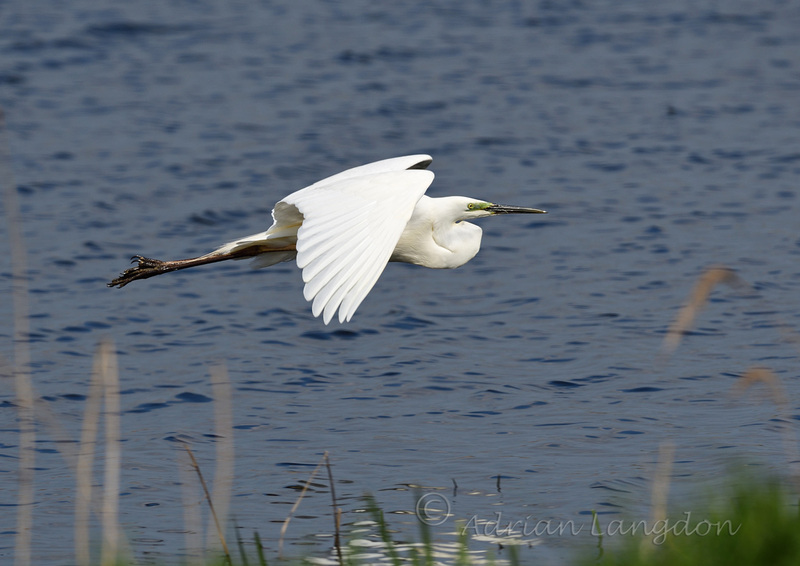 The Great White Egrets were very active and Bitterns were "booming" in the reed beds all day, sadly none ventured out of their hideaways. 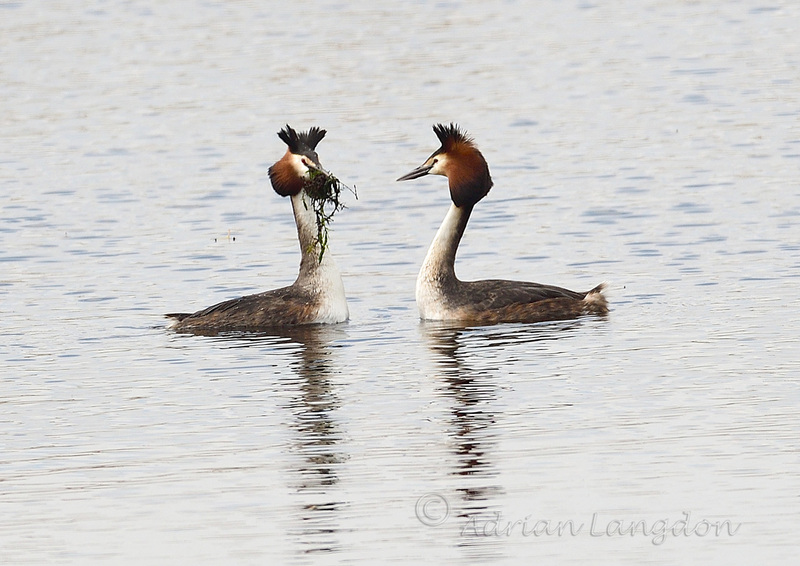 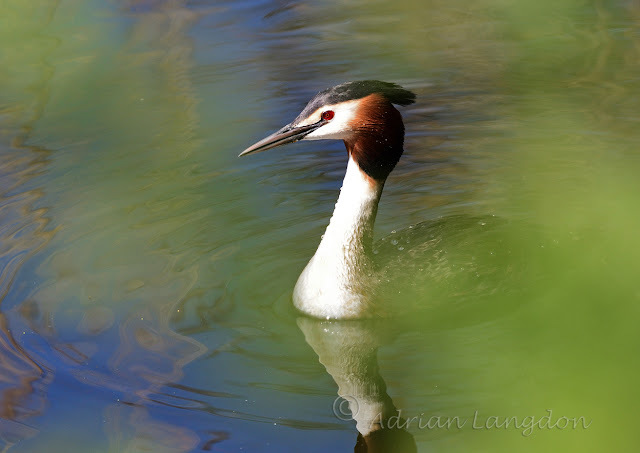 Great crested Grebes were paired up and courtship was evident. 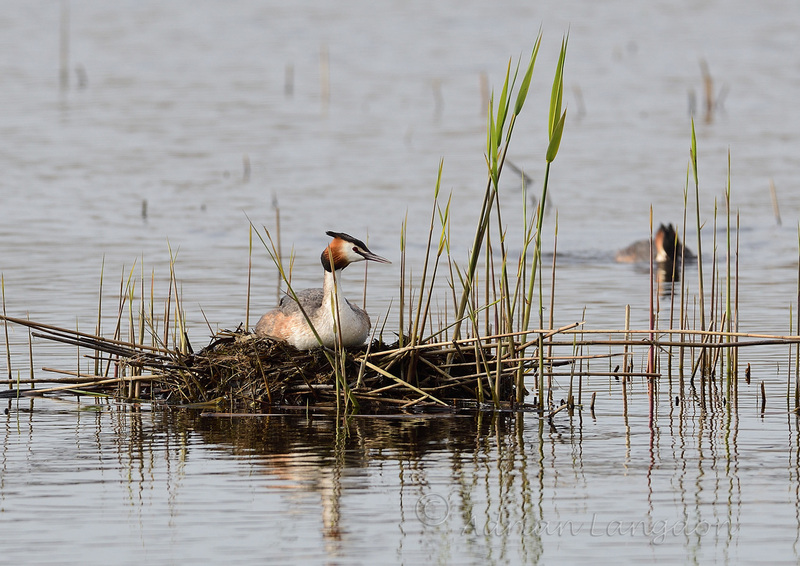 One pair was already on a nest. 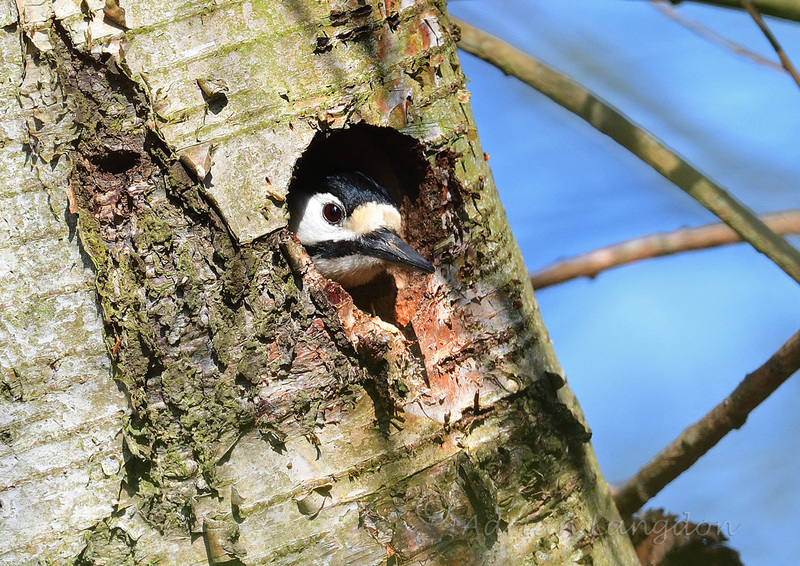 Also found a Great Spotted Woodpecker sat outside of a newly excavated nesthole but before I could get a photo she flew off, only to return later and we watched her peer out from inside the tree. 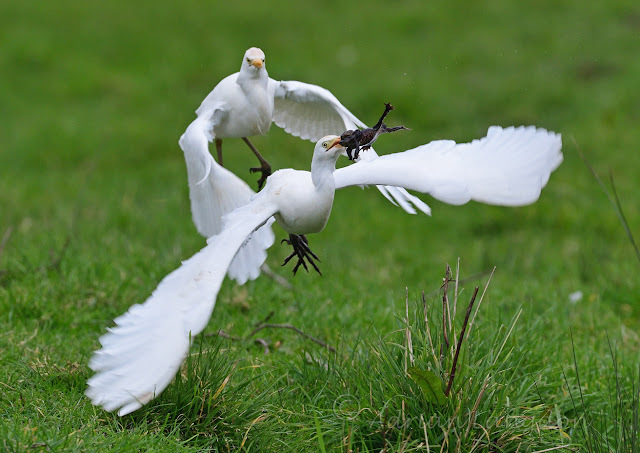 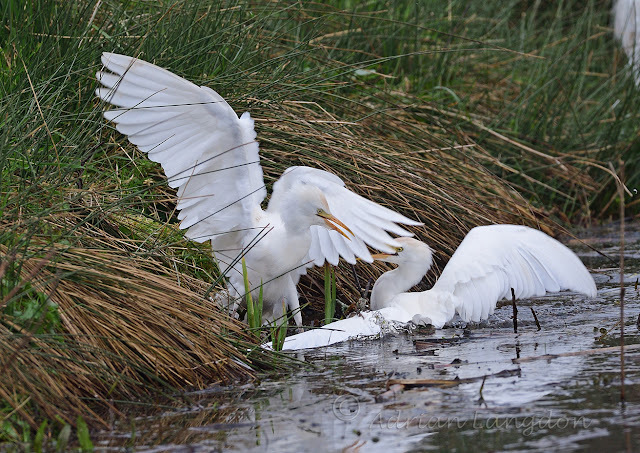 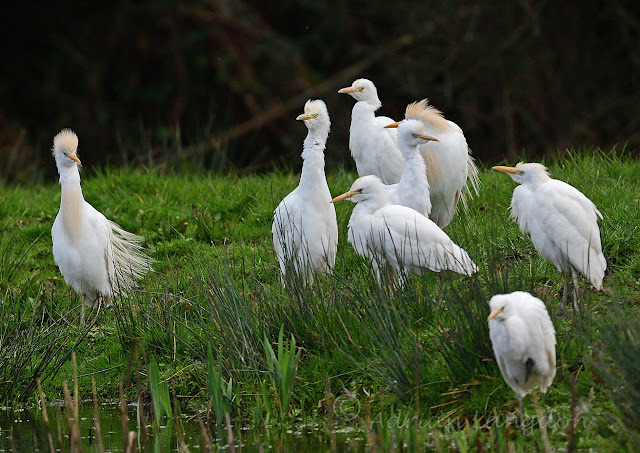 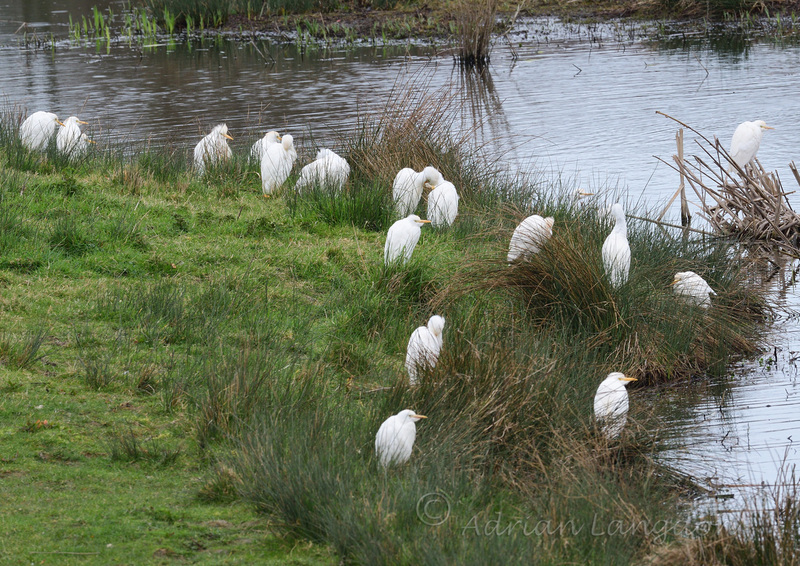 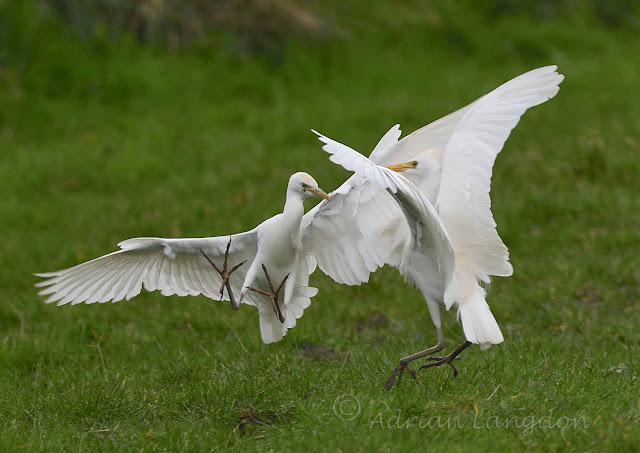 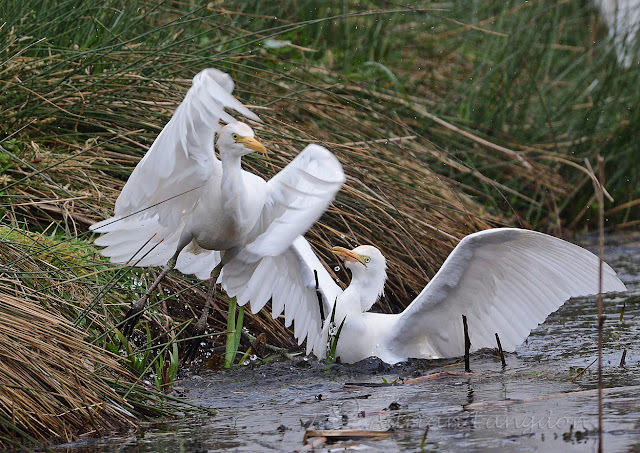 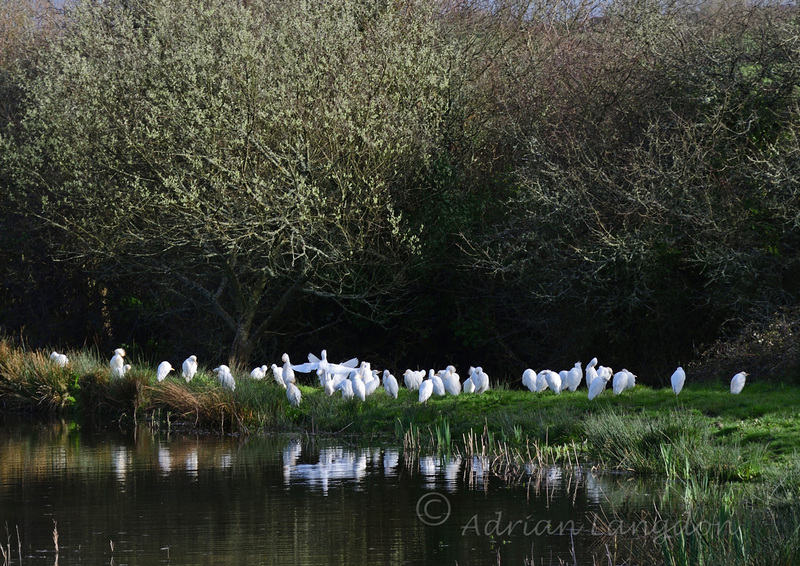 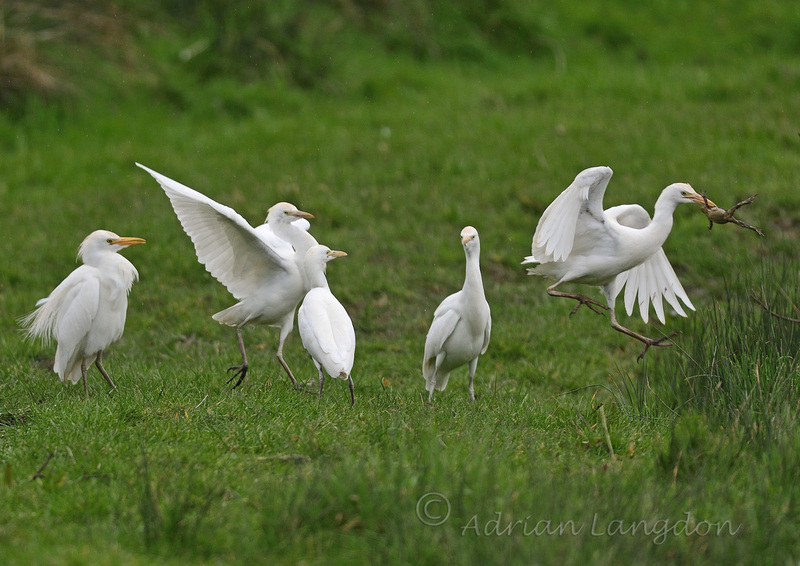 Cattle Egrets at Walmsley sanctuary, Wadebridge today 17th March 2019. 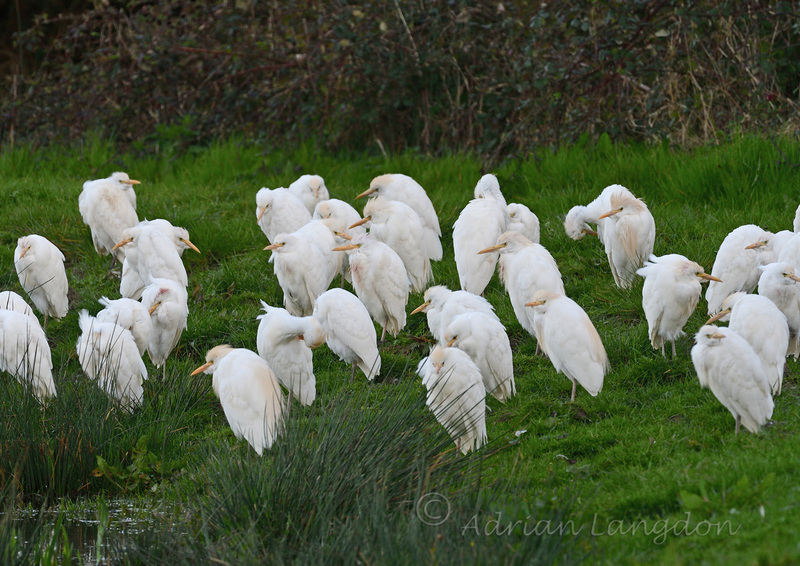 Up to 55 Cattle Egrets at Walmsley today, regularly flying in and out and stopping to preen and rest. How long they'll stay remains to be seen as they bred in 2017 but disappeared completely in the summer of 2018. 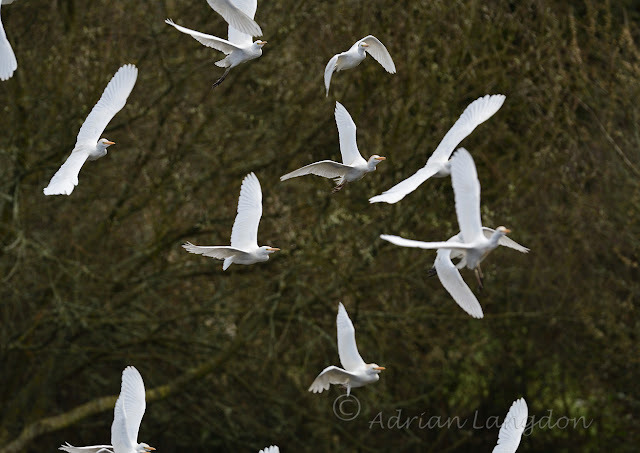 However it's great to see them and long may it last! 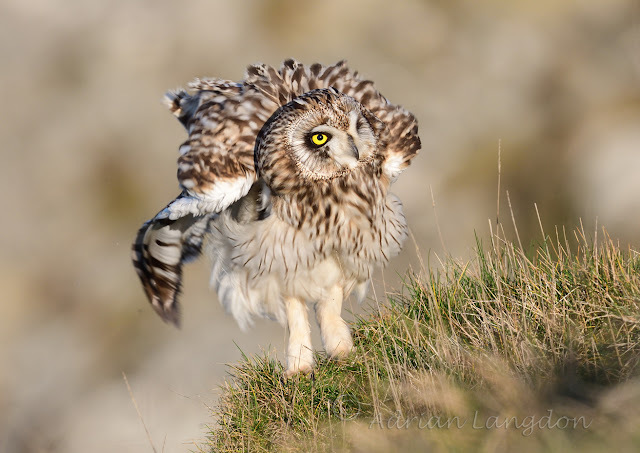 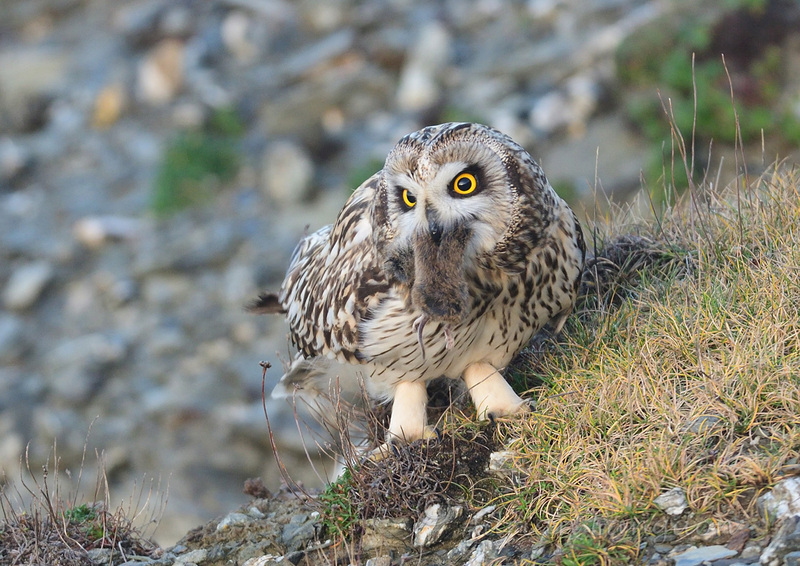 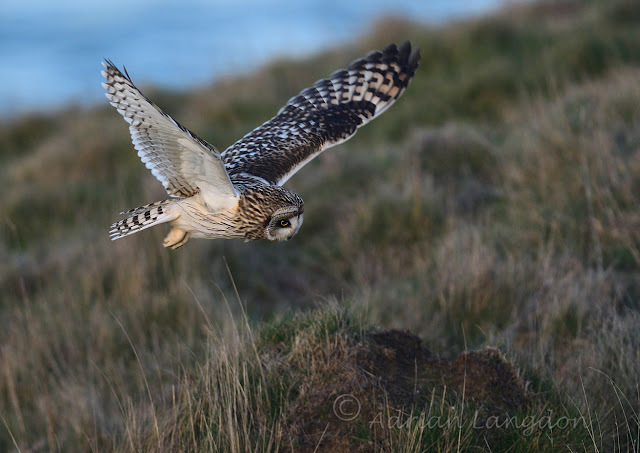 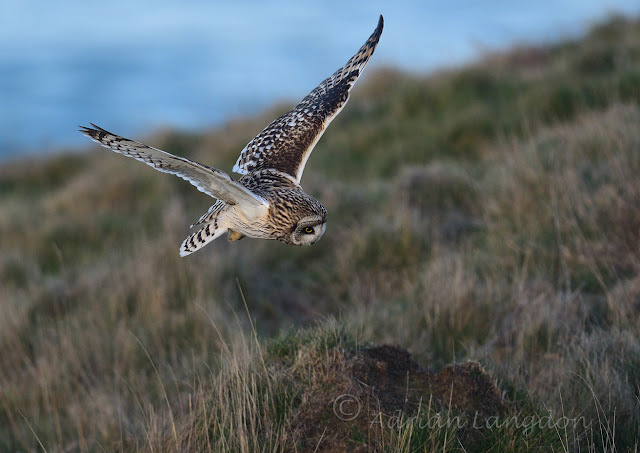 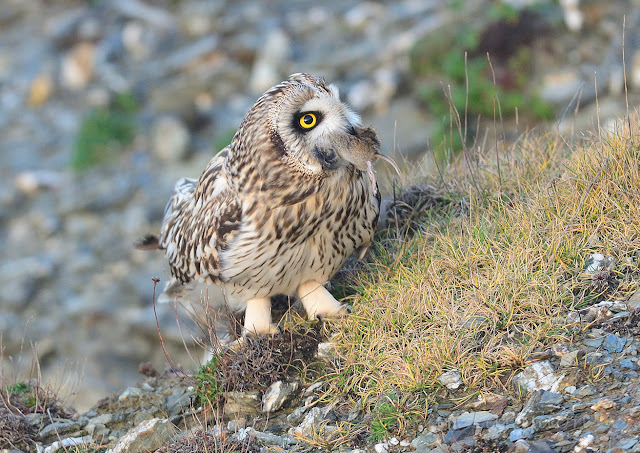 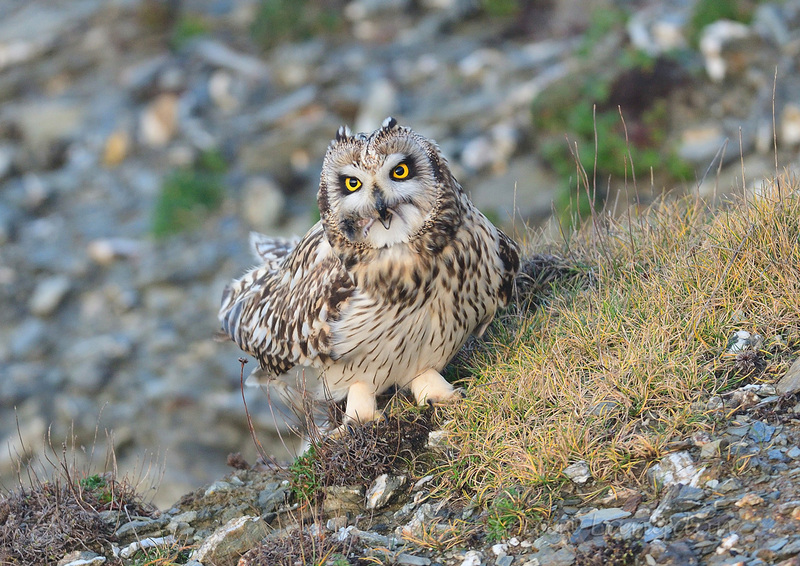 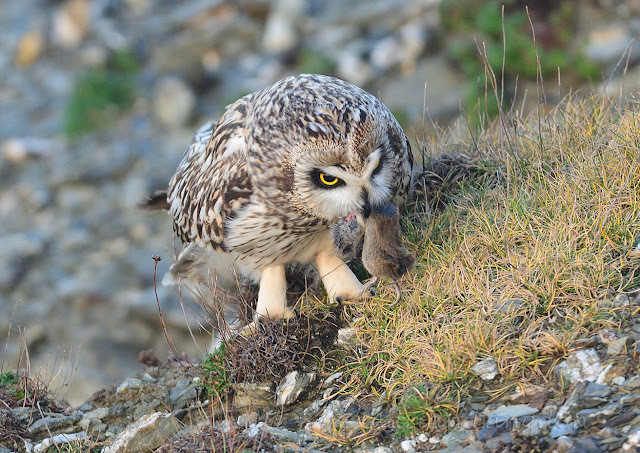 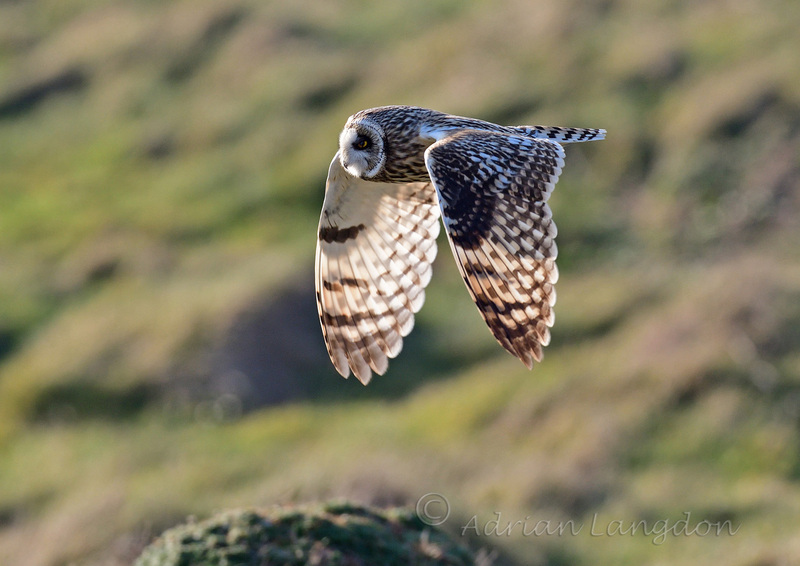 Short-eared Owls re-visited, North Cornwall coast. 27th Feb 2019. 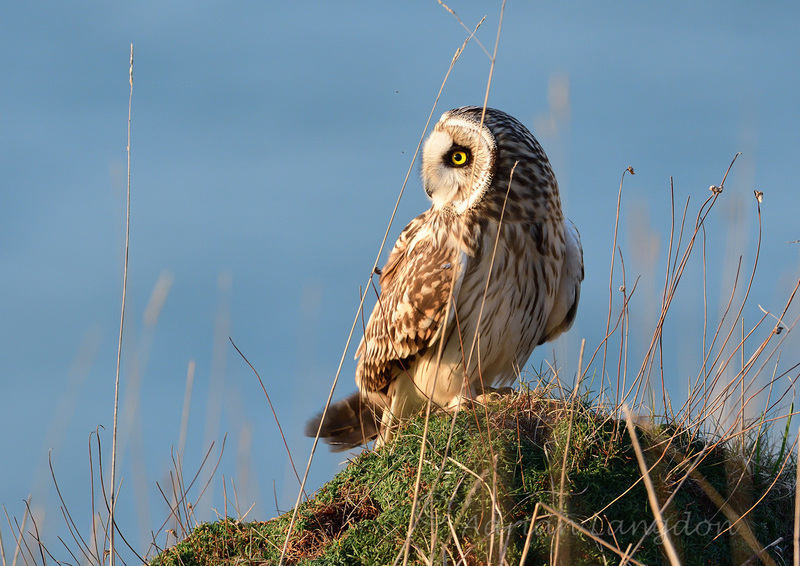 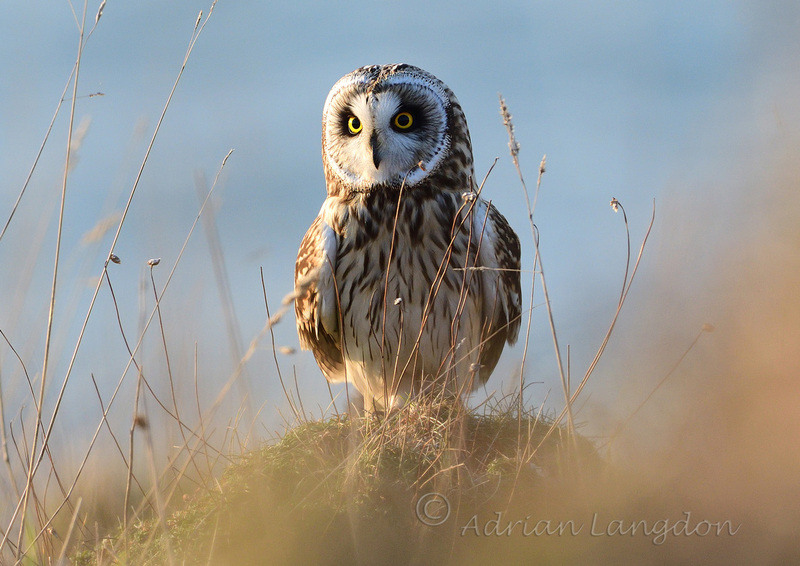 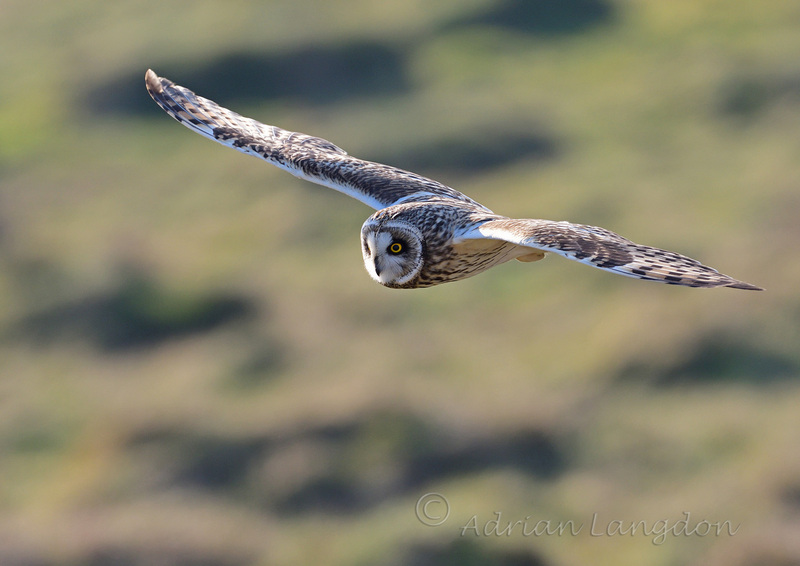 Another fantastic afternoon photographing Short-eared Owls on the coast in the sunshine. 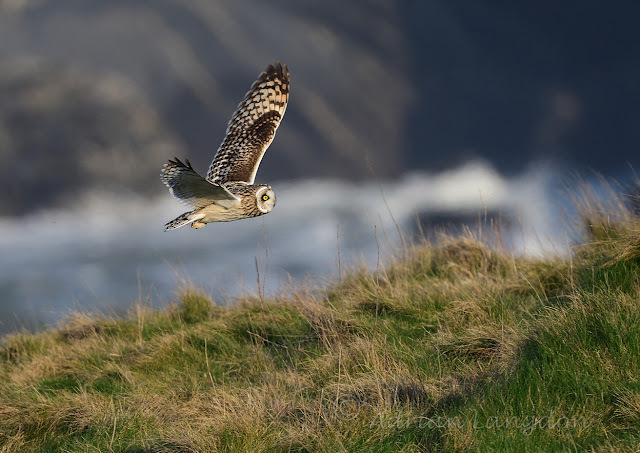 This time last week we thought they'd moved on North but were relocated back on the same headland a few days later. 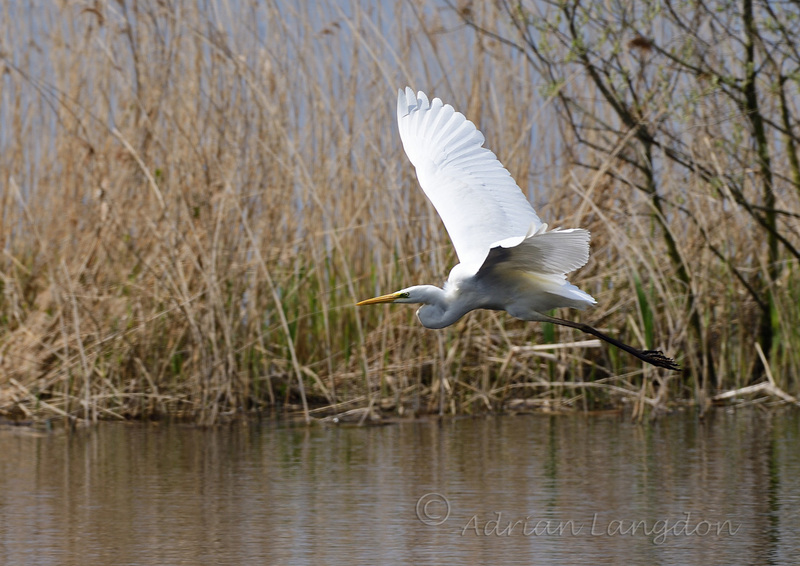 Here are a few photos that I enjoyed taking! 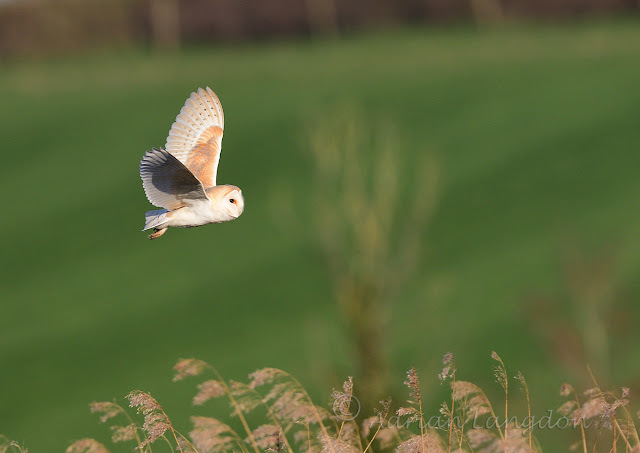 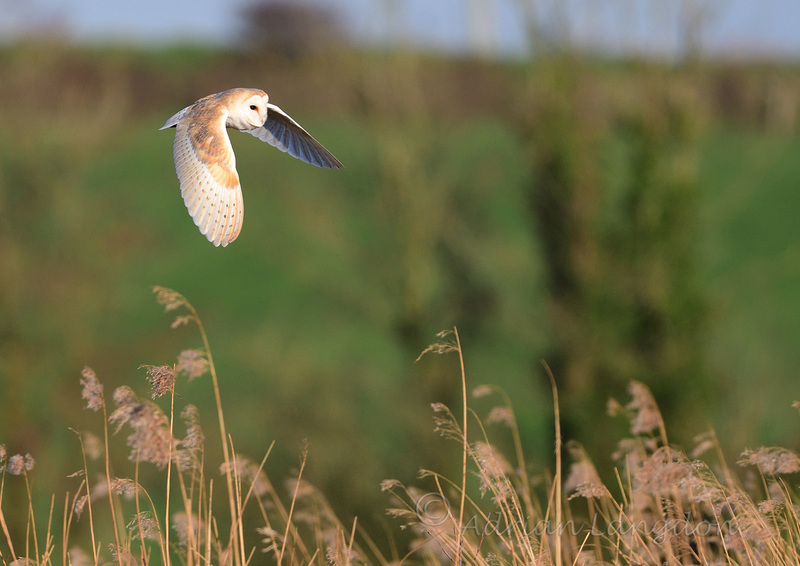 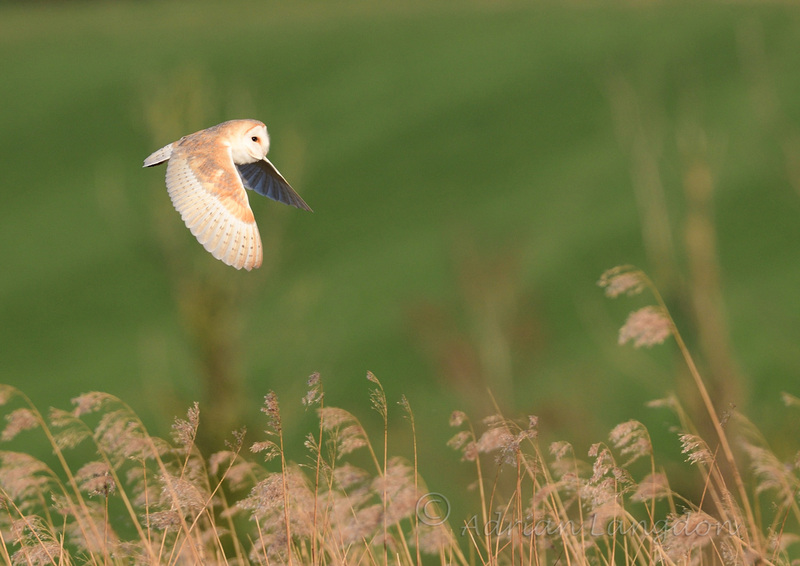 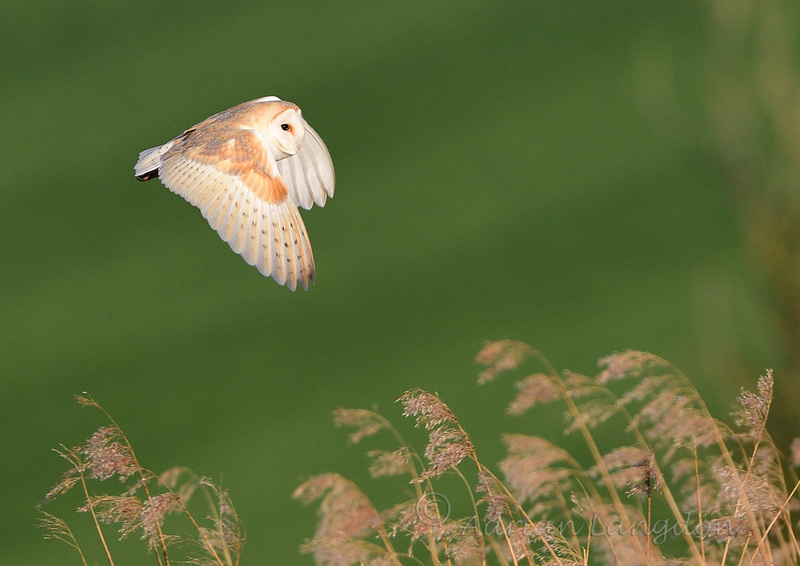 Barn Owl flying in the sunshine this afternoon. 26th Feb 2019. 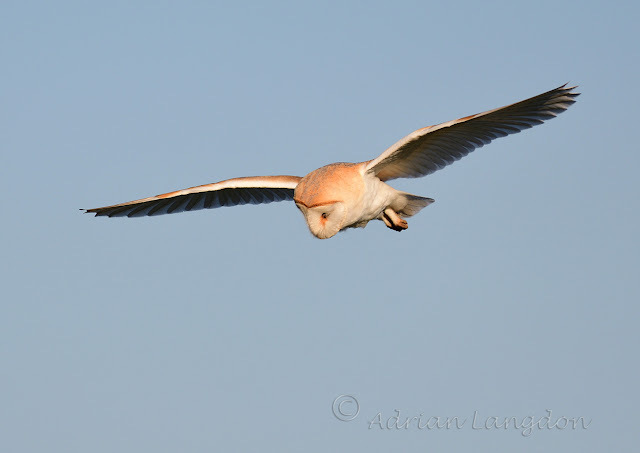 This Barn Owl has been flying around in the daytime for several weeks giving local people spectacular views. 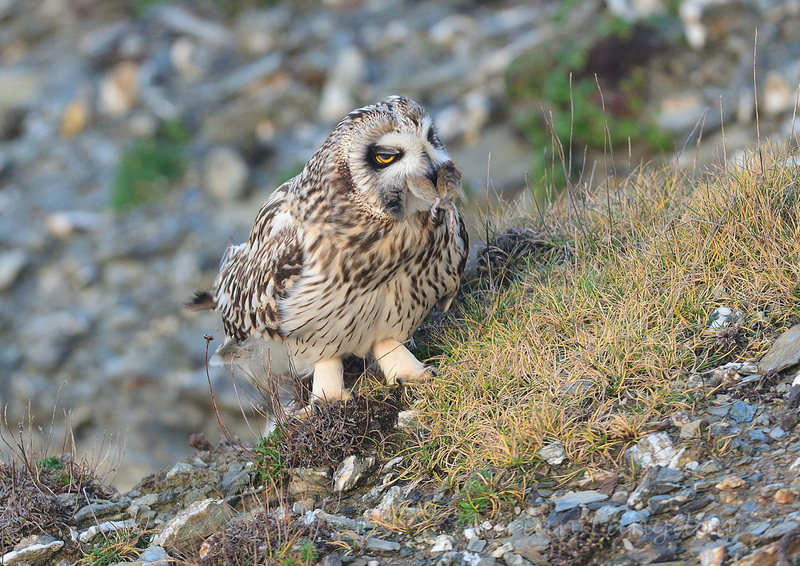 Looking at some of the photos I took today it looks as if it has a problem with it's left eye, there's a pink/red stain under it and it looks partly closed. 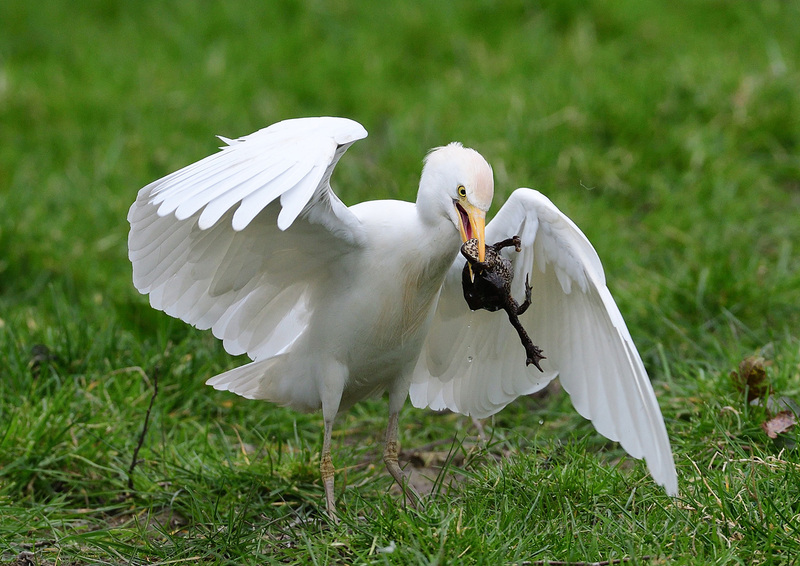 Maybe this is why it's needing to hunt more often if it's having trouble catching prey or perhaps it just finds prey easier in the daylight. 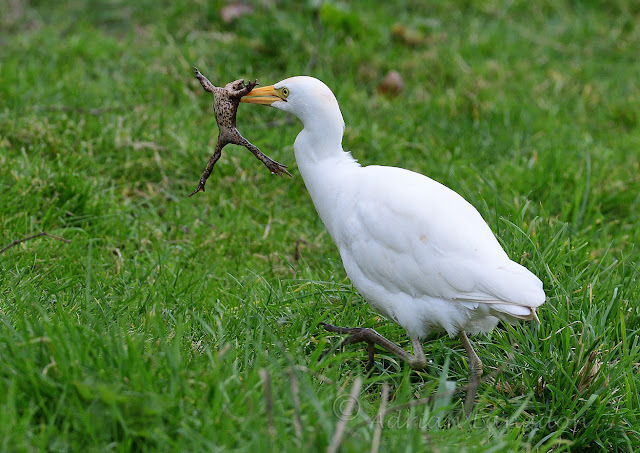 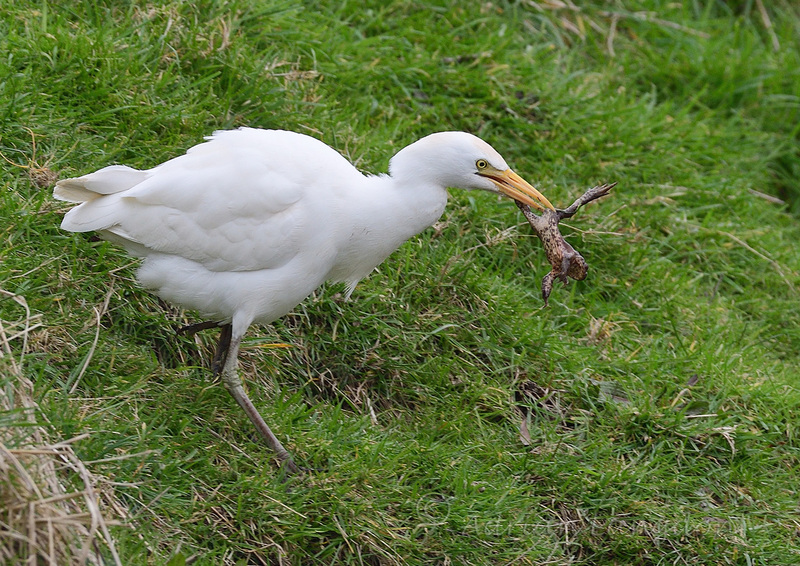 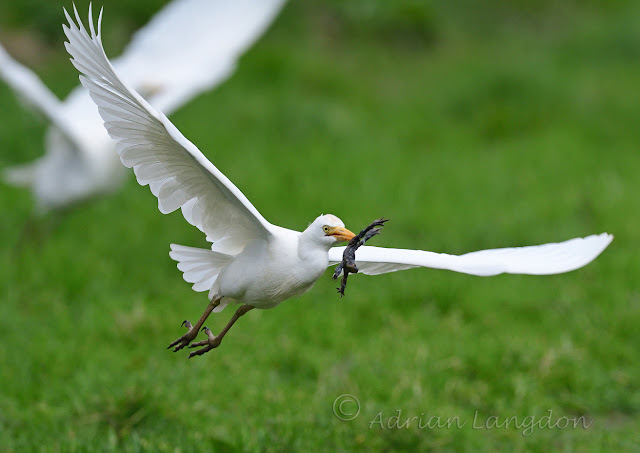 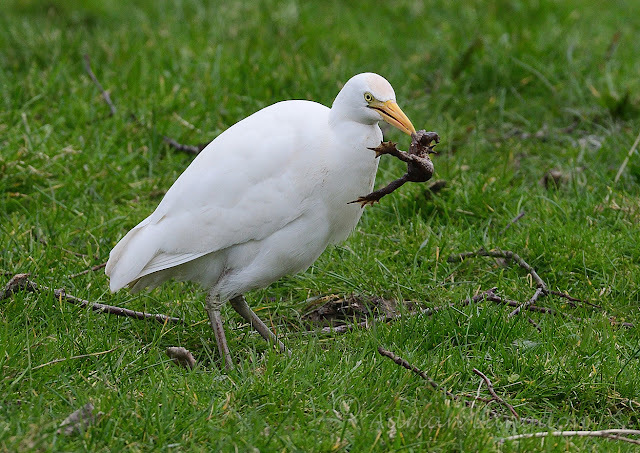 There were at least 40 (and possibly as many as mid fifties) Cattle Egrets all feeding on frogs in our reserve at Walmsley this morning. 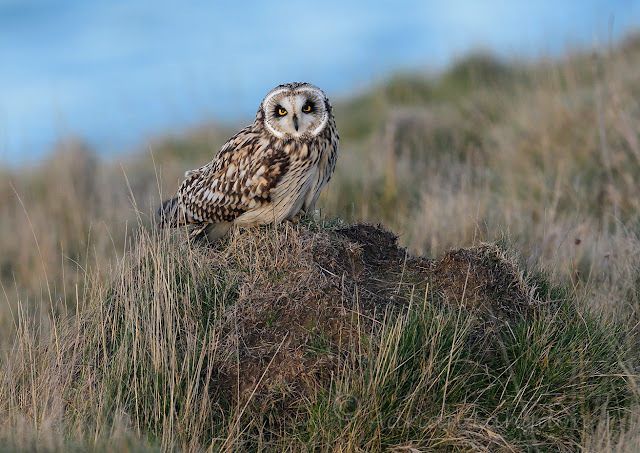 Short-eared Owl, North Cornwall 13th Feb 2019. 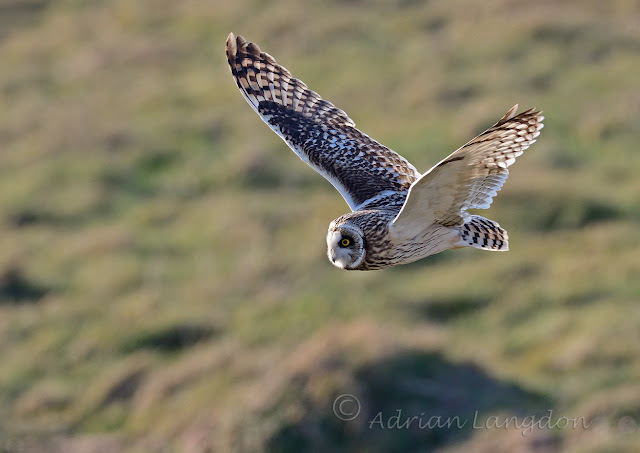 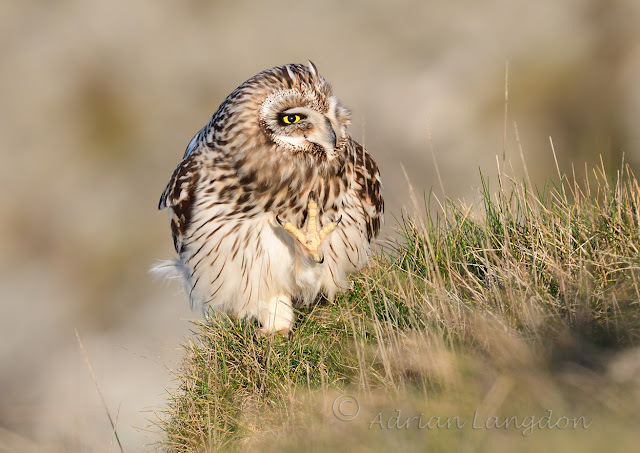 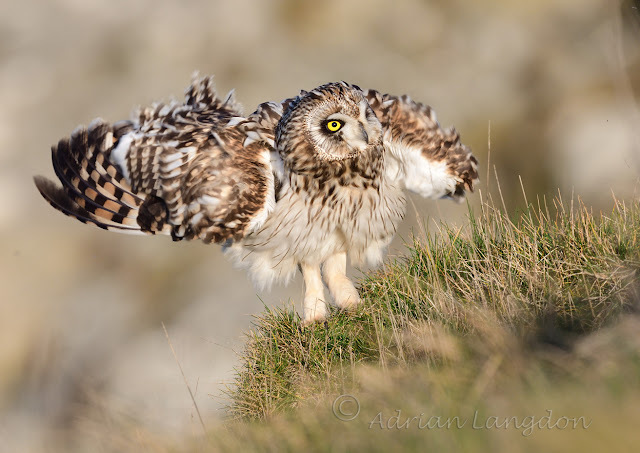 A few more images of the Short-eared Owls still active on this Cornish headland. 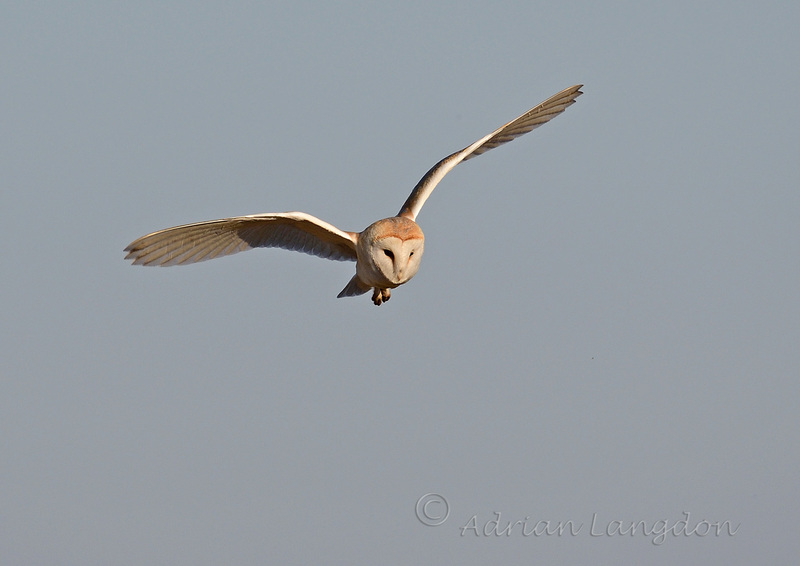 This one caught a vole and proceeded to eat it right in front of me! 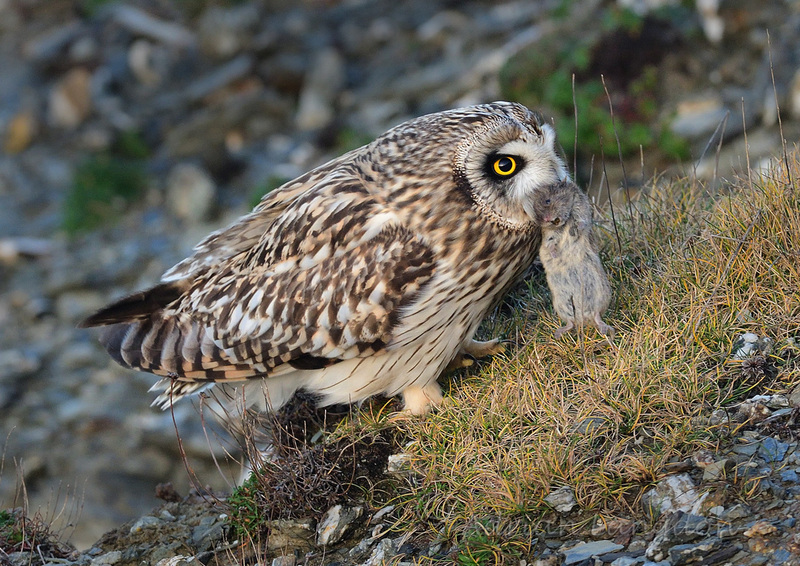 It must be one amazing "vole year" as there are runs and holes everywhere and they are keeping at least 2 Owls and several Kestrels well fed and have for a few months.